A team consisting of dental academics, clinicians, researchers as well as public health experts conducted the first Oral Health Tracker in Australia in 2018. The purpose of finding out the general state of oral health within the country and give recommendations on the same. The report indicated that no less than 75 percent of children were deemed to be consuming too much sugar at the time the tracker was being conducted. Moreover, at least one-third of all 5 – year – old children had some form of decay in their baby teeth. Oral care experts felt that this trend indicated a high probability of poor oral care over the lifetime of children. With such alarming statistics, it follows that one should prioritise the oral health of their children. Moreover, it may be useful to get the kids involved so they can actively do it themselves, thus ensuring that they always prioritise their oral healthcare. For anybody to be motivated to do anything, they need to understand why they are doing it in the first place. If your child is at an age where they can understand you, then it may well be worth your time to get them to understand why oral healthcare is important. Explain to them the purpose behind taking care of their teeth, why they should brush their teeth twice a day etc. You could also explain to them the negative effects of failing to take care of their teeth such as cavities and tooth decay and show them how aesthetically unpleasant decaying teeth look. This involves letting them actively participate in oral care by themselves such as letting them pick their own toothbrush and even coming up with how they want to brush their teeth. This will give them some ownership in the process itself and make it much more likely for them to follow through. Monkey – see, monkey – do. Doing certain things together, especially brushing your teeth will offer a chance to make sure they take their teeth and instil a pattern in their lives. Same goes for visiting the dentist. Perhaps book your appointments together. 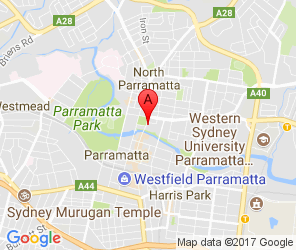 For those looking for dentists, you could look for dental service providers in Parramatta. This could mean something as small as making brushing time a time for a small game to get them involved. An example would be making a timer game that forces them to stay focused for the next minute while brushing their teeth. It has been well documented that at least 50% of adult’s tendencies and habits (for those who had an adult figure in their life who brought them up) are a direct result of how their parents brought them up. What this means is that your children’s meticulous attention to their oral health (or lack thereof) will most likely be a direct result of how much emphasis you place on oral health care early in their life.